Here at Ticketmedia, we like to connect with local charities and make a positive impact on our community by raising awareness of some of the less well known local charities and the amazing work accomplished by these organisations. We are proud to announce that we recently sponsored the local charity, Impact Initiatives, in its 40th year. 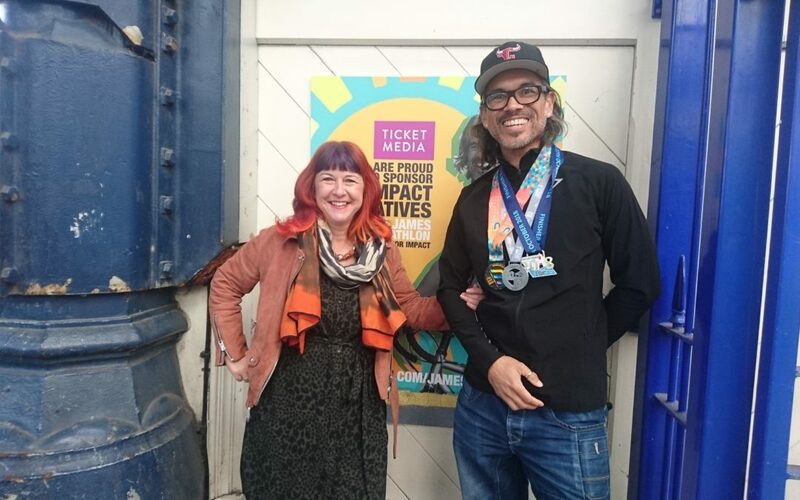 To celebrate the charity’s milestone, Impact Initiatives launched a photographic exhibition in Brighton train station, put together by Brighton-based photographer, Maria Scard. It showcased volunteers, members of the local community and us here at Ticketmedia, as their main sponsor. To help raise money for the charity, our very own Client Services manager, James Weller completed the Hever Castle triathlon, the Brighton 10-mile run and the Beachy Head10k. We also ran a localised bus-ticket campaign to raise awareness of the charity. Impact Initiatives supports people of all ages and aims to give individuals and communities the support they need to improve their quality of life. The charity helps over 6,000 people across Sussex each year and provides services for people of all ages to help them live more independent lives. Its services are extremely varied and support children, families, young people, adults and older people. They support existing services where a gap has been identified and help Sussex people live healthy and fulfilling lives. The charity’s Patron is The Duke of Richmond and the President is Peter Bunker OBE. We’re proud to support local charities in our community and are always excited to increase awareness of good causes using our advertising formats. If you want to know more about how our formats can help local organisations, please get in touch on 0800 028 6778.